Malibu’s Premium Pickle-Fork: The pickle-fork hull gives you an extra roomy and deep bow with luxurious hand wrapped interior. Plus the 24 MXZ offers seating for up to 18 people. Gorilla Fins: Malibu uses Gorilla Fins with 120 square inches of surface area; not only is the size important, but the fin placement on our models is further forward than our competitors. These fins maximize tracking ability, handling and driver control. Malibu Command Center: The Command Center is the smartest combination of digital interfaces and traditional controls in the industry. The bright, high-resolution 12-inch MaliView touchscreen gives you finger-tap control of the MaxBallast, Power Wedge III and Surf Gate. The Command Center also includes the Sport Dash analog control dial for easily-accessible toggles for Surf Gate, Power Wedge III, stereo and speed. Reconfigured Rear Lounge Area including Walk-Through: The walk-through transom maximizes accessibility from the swim platform to the transom, helping keep your interior in pristine condition. Reversible Wakeview Rear Bench: The WakeView seating provides extraordinary luxury and accessibility for all of your passengers. The WakeView rear bench goes from forward-facing to rider-facing in a snap, with minimal effort. 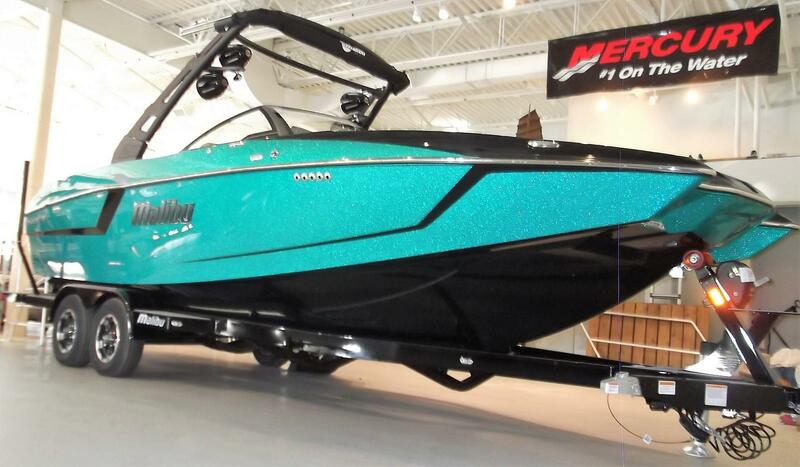 Wake Plus Hull: The 24 MXZ’s hull creates larger wakes to maximize wakeboarding and surfing. 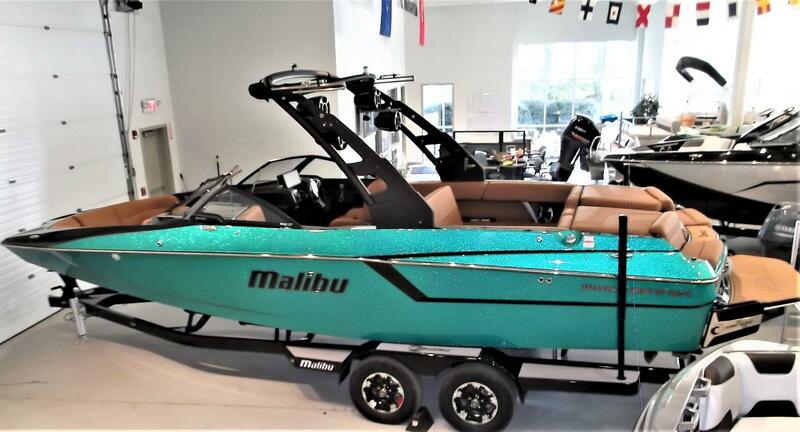 When combined with Malibu’s Integrated Surf Platform (ISP), the Wake Plus Hull easily transforms monster wakes into massive surf waves. 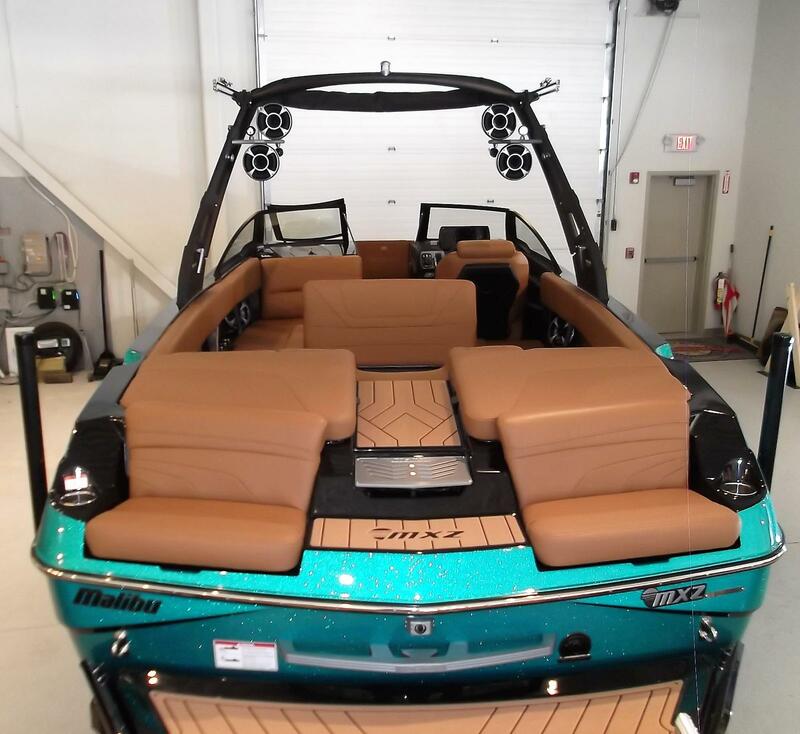 Integrated Surf Platform (ISP): The 24 MXZ’s hull creates larger wakes to maximize wakeboarding and surfing. 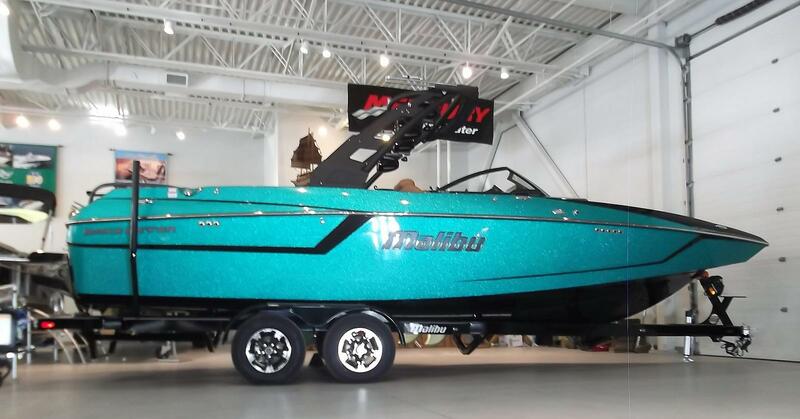 When combined with Malibu’s Integrated Surf Platform (ISP), the Wake Plus Hull easily transforms monster wakes into massive surf waves. *Optional equipment is shown. US prices only. Freight and setup not included. See dealer for details.